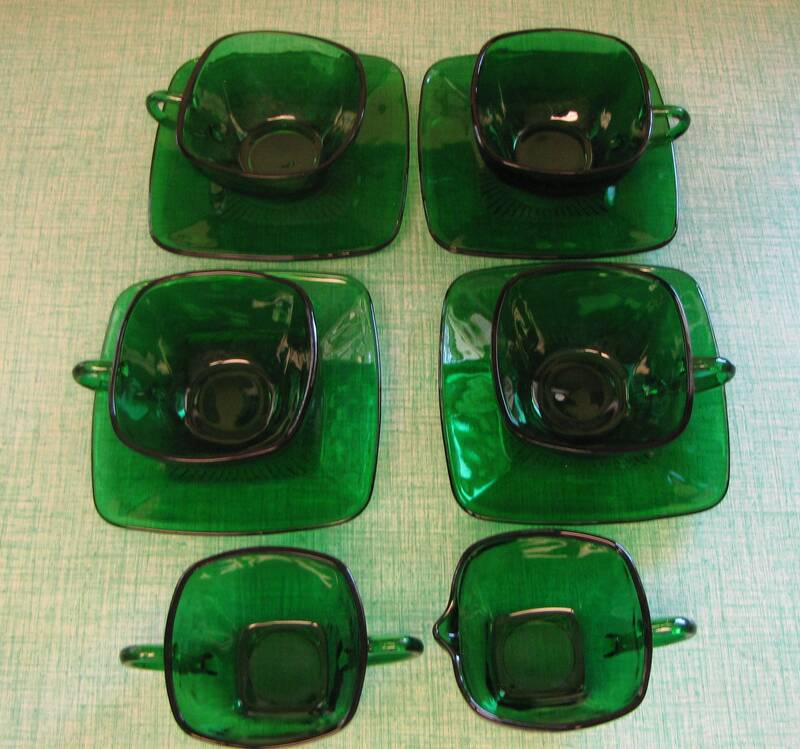 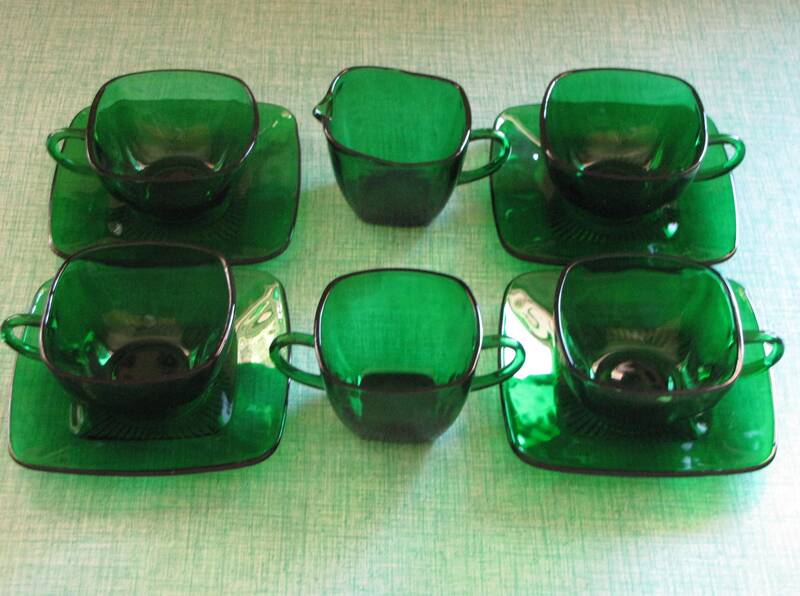 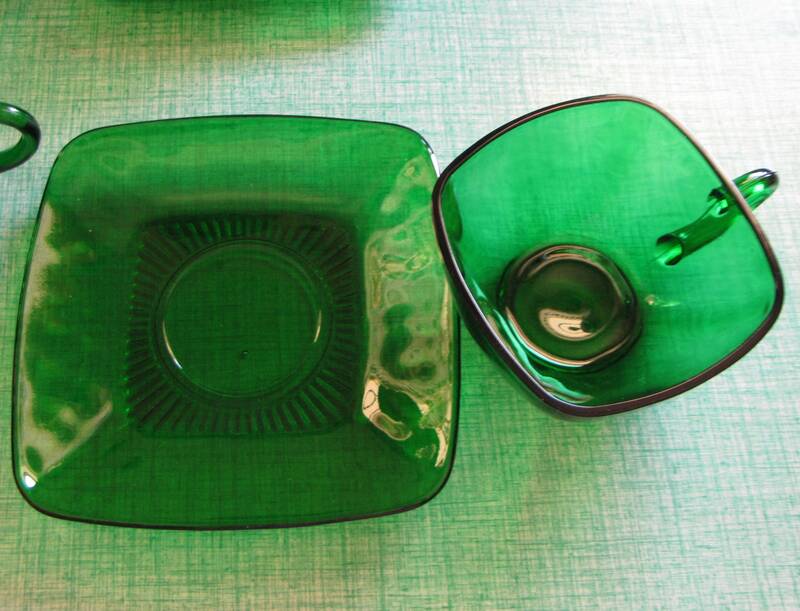 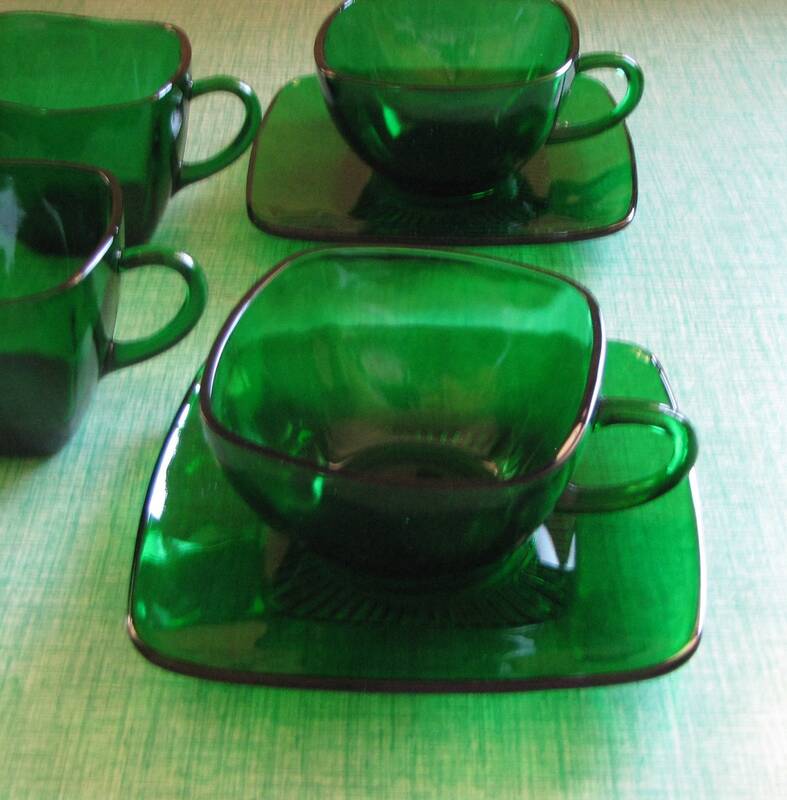 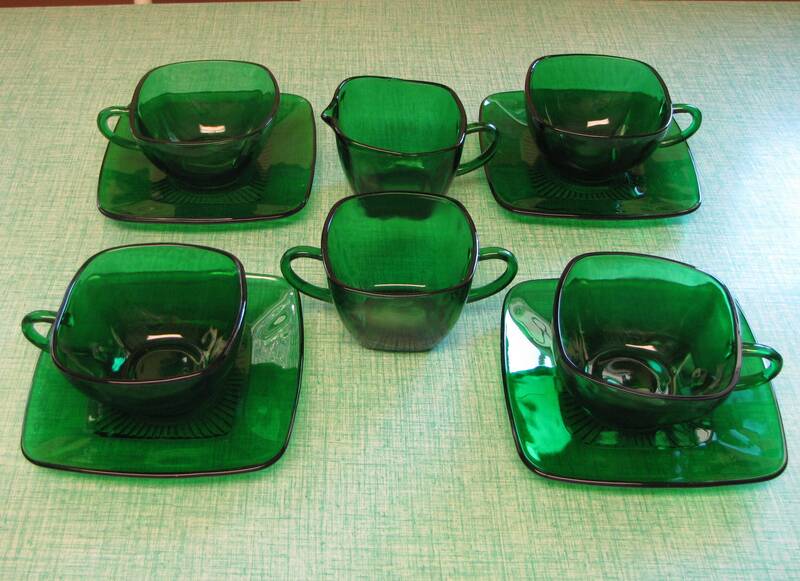 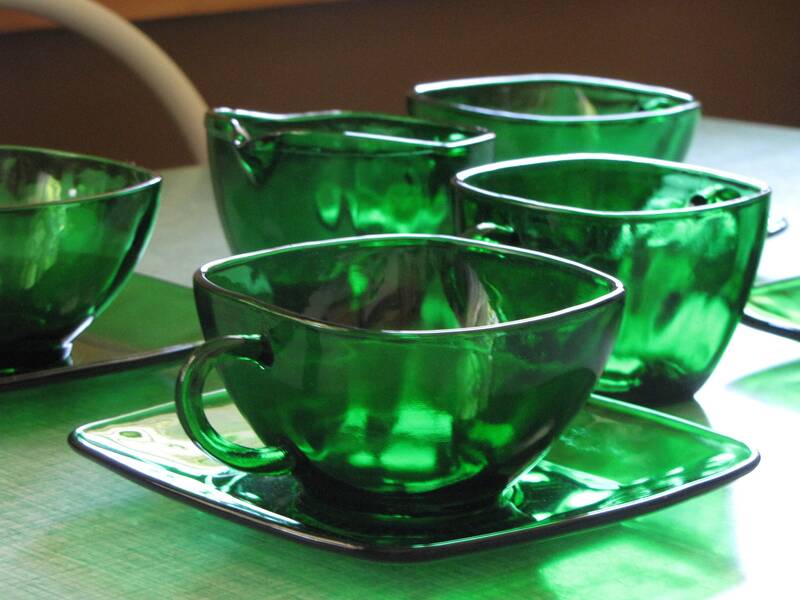 There are 4 sets of cups and saucers in a beautiful forest green by Anchorglass, Lancaster, OH. 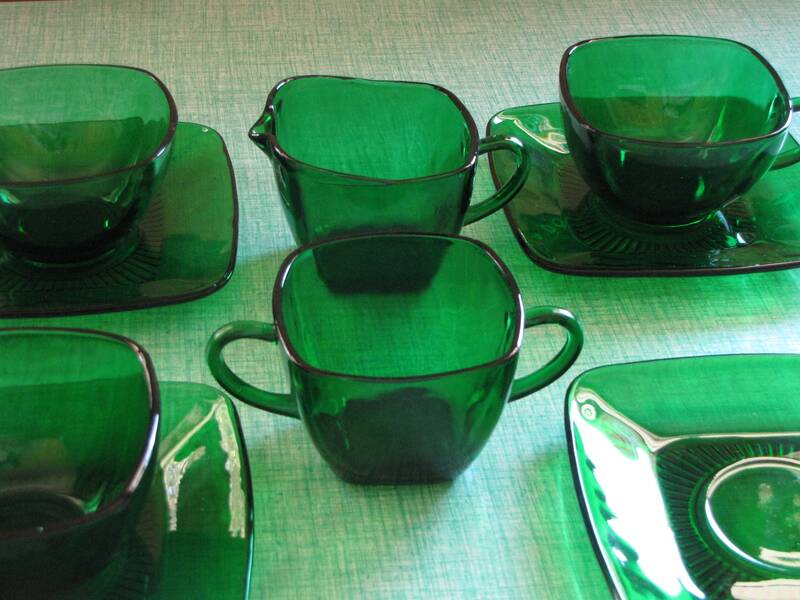 This pattern is called Charm-Forest Green. 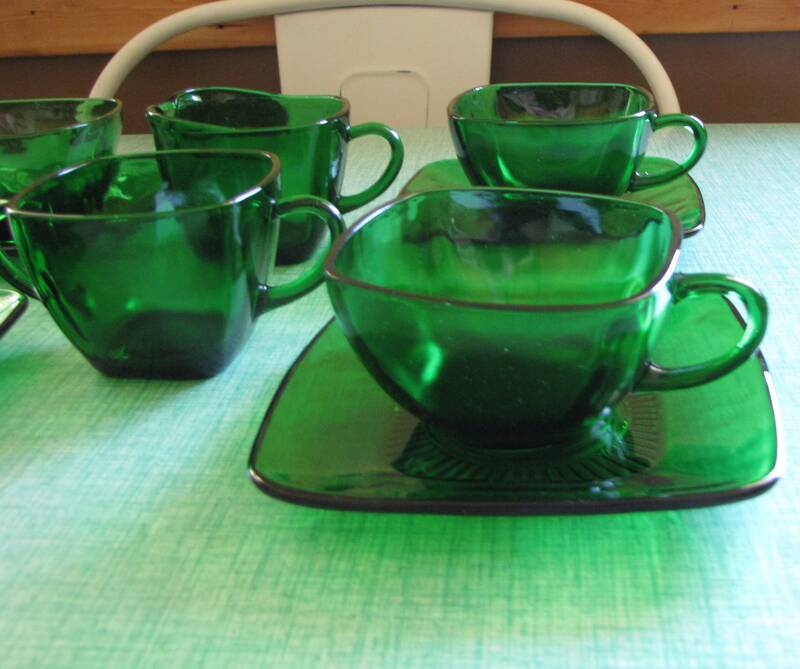 The cups and saucers are in very good vintage condition with no chips or cracks; hardly a mark on them. 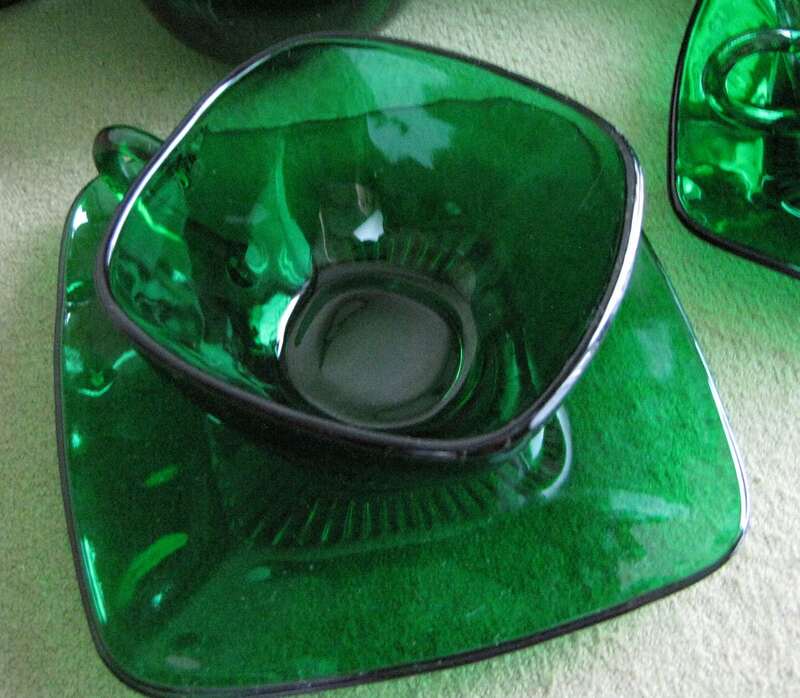 There are some flaws in the glass making including bubbles in the glass. 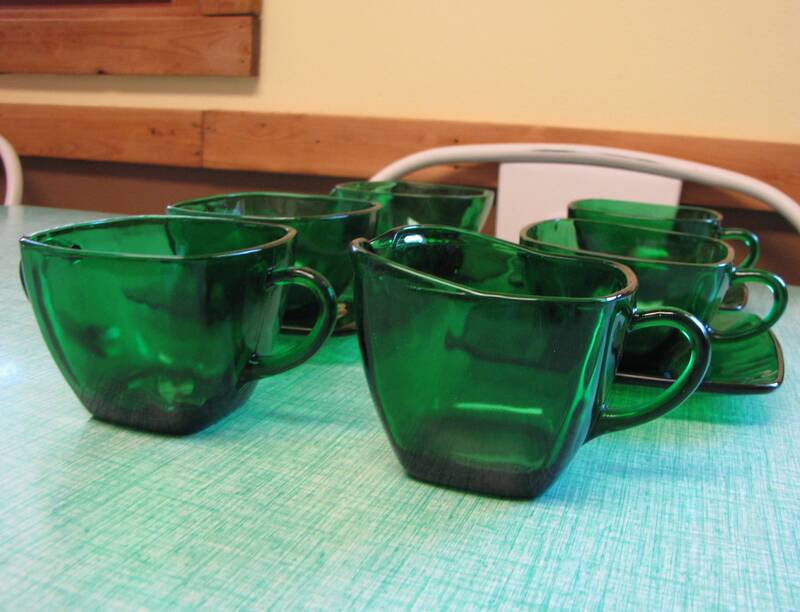 A cream pitcher and sugar bowl in very good vintage condition with no chips or cracks; hardly a mark.